Looking for less sugar? “66” is sweetened with pure cane sugar and monkfruit - an ages-old Chinese medicinal and zero calorie sweetener. 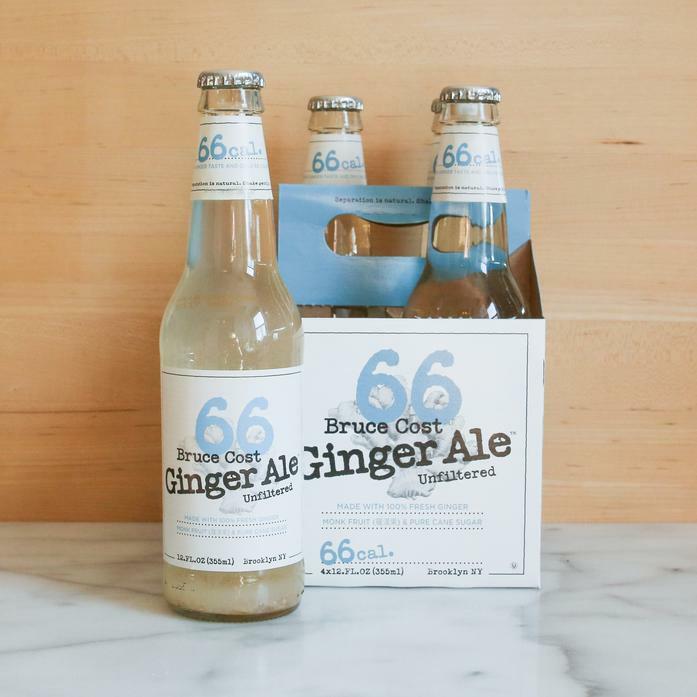 This ale has the same great, fresh ginger taste you’ve grown to love in Bruce Cost's original ginger ale, but with only 66 calories.